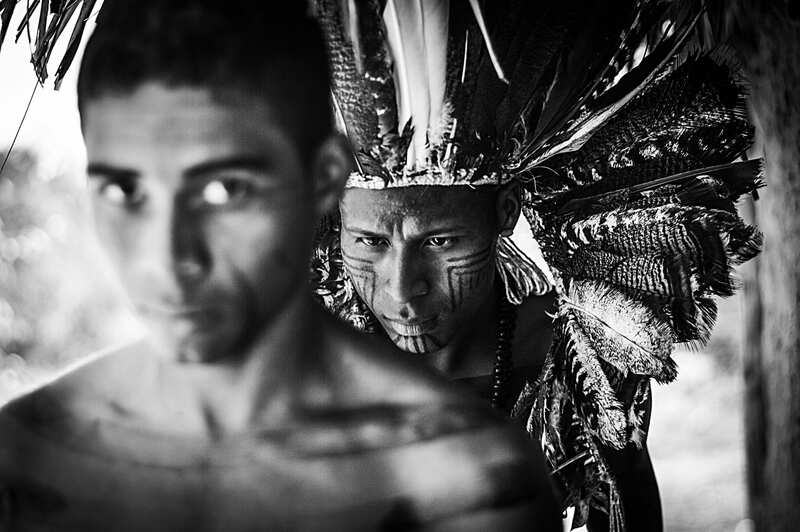 Edgar belongs to the indigenous people of Xabriara State of Minas Gerais, Brazil, and holds a Master’s degree in Anthropology from the Universidade Federal de Minas Gerais, with a focus on ‘EtnoPhotography’. EtnoPhotography is a means of recording the aspects of culture and the life of people. Through the lens of the etnophotographer, photography becomes a new tool against struggle and for resistance, allowing ‘the other’ to be seen through different eyes. Young people of the Xakriabá people make body painting, preparing for traditional feast. Where dances, songs, and traditional foods occur. The Indigenous Peoples Xakriabá is located in the Municipality of São João das Missões in the north of the State of Minas Gerais in Brazil. They belong to the second largest indigenous linguistic trunk, the Macro-jê of the Jê family and are subdivided into Akwẽ, their closest relatives being the Xavante and Xerente peoples.